This is a guest post by Howard Levy, founder of The Nonprofit Brand Institute a branding agency that creates effective brands, websites and marketing campaigns for nonprofits to increase their visibility, fundraising and effectiveness.Visit them at http://npbrandit.com/. If you are like many small and medium sized nonprofit organizations, you are focused on your mission, dedicating staff to carrying out programs. Maintaining your website and getting visibility for your organization is often neglected or put on the back burner. And yet, marketing and promoting your agency is essential to attracting donors and ensuring its long-term success. Here are 10 ways your nonprofit can wake up your brand to strengthen your appeal to donors. Have a compelling name for your organization. This one is pretty fundamental and deep, but worth stating since many organizations have outgrown their name but continue to struggle along with it. If your organizational no longer reflects your mission, population or area served and is hindering your ability to raise money, it might be time to change it. It’s not an easy decision, but given the impression that people form of an organization based on the name, it might be worth considering. An easier option is to examine your tagline and names of your programs, which can capture donors’ imaginations. For most nonprofits, quality of writing is not a foremost priority — program staff not trained as writers may be writing the articles for your newsletter, for example. Yet this may be your prime form of engagement with donors. Often this results in stale descriptions of your services told from the organization’s point of view, industry jargon that donors may not understand, and copy that is not compelling to read. Make sure that your copy ---whether it be your website, brochures or annual report — captures the interest of your readers, touches the hearts of your donors, and engages your audience to take action. Most nonprofits are very good at describing what they do on a regular basis — their core programs and services. But what motivates people to give is a meaningful vision that inspires them, and the knowledge that goals are being met. Review your materials to make sure you are connecting the dots for your donors, and showing how your organization is having a real impact on people’s lives, on the community you serve, and laws, systems or practices you have changed in society. Take advantage of your events to spread your message and bond with your donors. It may seem obvious, but most charity events are geared only toward raising money and miss out on the opportunity to tell people what you do. Consider how many people attend your event as a spouse, friend or business acquaintance and who don’t know anything about programs and then consider the extent to which your event may not convey anything about your organization. 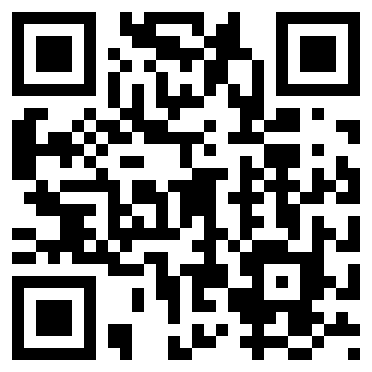 Use a QR code to provide a quick link to your website or event. You may have seen these square pixelated barcodes. They can be scanned by a smart phone with a free QR scanner app and will link directly to a website – no need to remember or write down a URL, so it makes it more likely that a donor or interested party will scan it. These can be effective because they can be generated free and placed on your event invitations, brochures, newsletters and direct mail. They’re easy to generate. Just search for “QR Code” and you’ll find websites that will generate the code for you. Incorporate technology into your events. There are many creative ways to use technology to accept donations, promote your mission and engage your donors. For example, Eventjournal.com is an online journal, which gives you a web presence before, during, and after your event. Also, you could consider accepting donations immediately at an event, either via traditional credit card processing terminal, or by using a service such as Square Up to swipe credit cards via smart phone. Organizations are also exploring the text-to-pledge option, allowing attendees to use their phones to make donations via text message. Something to keep in mind while evaluating any technology is the profile of your target donor, their age range and familiarity with using new technology. Use your event invitations to promote your organization. Event mailings are a big opportunity to reach your donors. The key point is to think of the event invitation as a marketing piece or advertisement to promote your organization. The invitation is an opportunity to inform your potential donor base about your organization. Let’s say you mail invitations to 1,500 people for your event and 300 people attend. This means that 1,200 potential donors will see your invitation and your marketing message, but won’t be attending or interacting directly with your organization. Also, it may make sense to provide a way for these recipients to donate without attending the event. The bottom line is that event invitations are advertising. Take advantage of new Facebook Page features. Facebook has recently started Pages, official Facebook presence for organizations. Unlike Groups, which anyone can start on your behalf, Pages are administered by organizations themselves. Pages can also be customized with more information and features than Groups. In fact, the more people who “like” your Page, the more you can do with it. Some organizations are creating sophisticated interfaces on their Page to engage donors. For the younger set, Facebook is a primary way of communicating, and Pages are becoming the de facto web presence. Get your board involved in your social media efforts. There’s a lot going on and you can’t be expected to keep up with it all, but it’s a good idea to stay find ways to stay current. Conferences and seminars are great but not always possible. Webinars are easier to attend since you don’t have to leave your office. You can also invite technology companies to come in to present a demonstration. Having a standing day of the week or month for this gives you a scheduled way to stay current. There are many ways to build your brand and visibility and smart nonprofits know that everyone in the organization plays a role in doing so, not just the person assigned to send out the email newsletter. Adopt a “marketing mindset,” so that you are consistently thinking about ways to build the value of the organization on an ongoing basis. That way, you can be around to help more people in the future. Great suggestions! The bottom line is that an organization has to keep revising and updating its marketing. A website is not a static thing nor are the materials you produce. Times change, donors change, technology changes. You have to keep moving. Unfortunately, updating and upgrading technology are often lumped into “overhead” costs and not sufficiently funded by donors. Yes- I totally agree. I'd also add that it's important to have a clear strategy first- lead by a strategic plan that has buy-in- so everyone's on the same page about what direction the ship should be steered in. Great advice. Thanks for the article! Staying current with technology, point #10, is crucial. Unfortunately, so many employees feel it's their employer's responsibility to provide this on-going education for them. If you're interested in advancing your career, or in understanding what's new in your field, sometimes you just have to pay for the webinar / books / seminar, etc. out of your own pocket. But it's money well spent. Thank you for this thoughtful approach, Howard. Certainly having a plan, understanding your goals and your audience is key in determining how and when to effectively incorporate technology into your marketing. The technology changes so rapidly that it is overwhelming and easy to push aside as something to deal with “later.” What I like about your suggestions is that you have broken them down into small parts; for example, adding a QR Code is not a huge, time-consuming thing but could be very beneficial when used appropriately. Knowing that it exists and planning (remembering) to use it is the kicker! These tips were intended as a few ideas for nonprofits to dive in. As Sarah pointed out, it is important to start with a comprehensive brand, communications or fundraising plan, which is essential, and which relies on a strategic plan for the organization overall. For some nonprofits, we've found that the smaller things can lead to larger changes in the organization. The key is to constantly be thinking about how you are communicating your brand.